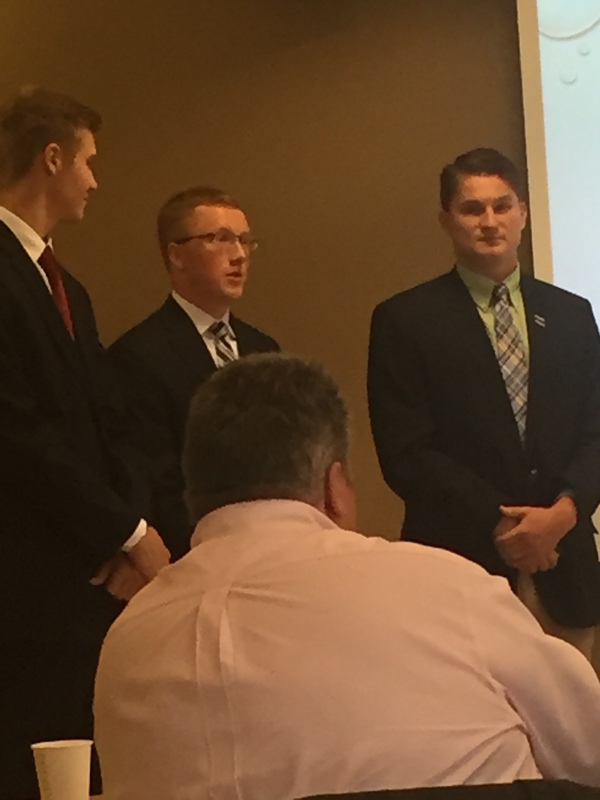 Zach Leander ’18 Major Markets-Interning at the Northeast Indiana Regional Partnership this summer has been an outstanding experience. Being my first internship, I have learned so much about myself and so much more about a true professional environment. Landing this internship was extremely exciting for me. Being my first true interviewing process, I was quite nervous. However, being able to go through a couple rounds of interviews taught me so much about the process and was excellent experience for me. Moving to Ft. Wayne on my own for a few months and being 4 hours away from home was another brand new atmosphere. This has taught me an immense amount about myself, and general life skills needed to have a productive life outside of a work environment. During my time with the Regional Partnership I have done countless miniature research projects. I have also been fortunate enough to experience some real world site visits, investor and county meetings, and general business gatherings. My team would target trade shows in certain parts of the world where promising companies might be located and set up meetings with them. A big part of my research work was to gather all available information on these trade shows, companies, and some surrounding demographics. Using a couple different search engine databases and sometime just plain Google I would put all the information into an Excel document and send it off to my advisors so they could reach out. Doing this work helped me develop productive researching skills and of course excel work. I found that the Excel course at Wabash was extremely helpful in preparing me for this internship. The best part for me was when we were able to land a company and get them to explore their options on relocating here. I was able to go out with them and see first-hand everything they looked for in site selection, investor meetings, real estate deals, construction, country tax incentives, etc. These visits really opened up my eyes and gave me a further understanding of everything that comes into play when a business is looking to relocate and or expand. It was fantastic for me to actually witness these things first hand, instead of it being in a classroom or someone telling me about it. I was able to learn more about different career paths and gain a feel for various professional environments. Overall, this experience could not have been any better. I’ve enjoyed working at the Partnership over the past 8 weeks and I am extremely grateful for having this opportunity. 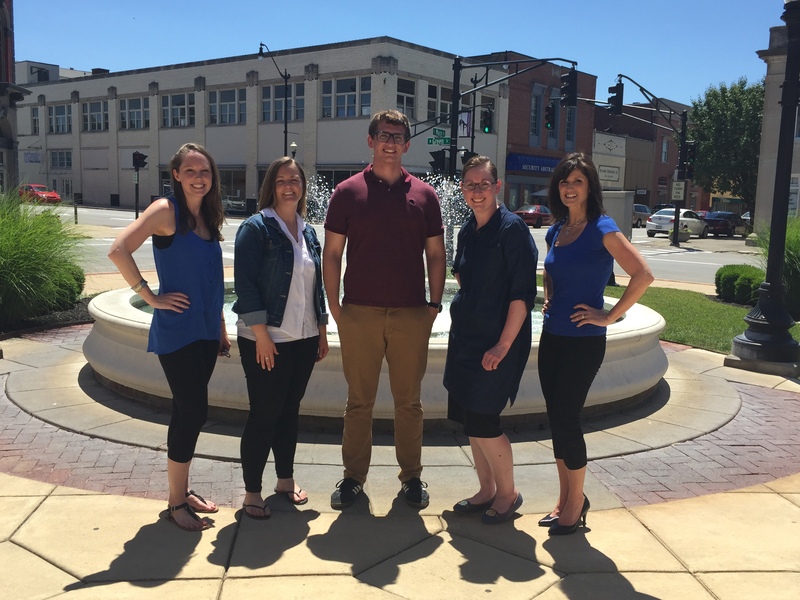 Ryan Cairns ’17 Blue Marketing-Eager to get into the marketing field after graduation, I immediately accepted the internship offer from Amy Williamson at Blue Marketing in Crawfordsville, Indiana. 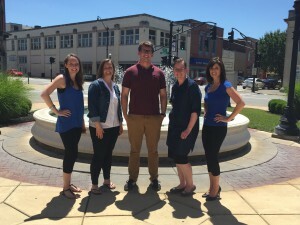 Almost everyone I’ve told about my internship immediately asked, “There’s a marketing firm in Crawfordsville?” and this is what was unique about getting to work here. It’s one thing to work a marketing firm that specializes in small businesses, but Blue handles some of the smallest of small businesses. If I had interned at a firm in a larger town or city, I would’ve learned how to market a company in a more diverse market and quite possibly could have been lost in the firm itself, being tasked to fetch coffee and study up on the latest SEO techniques. Fortunately, I think I gained a real valuable marketing experience here at Blue that will be easily applied to any future positions, marketing or otherwise. When you work with clients that serve a town of about 15,000, you quickly learn that their business goals differ somewhat from clients in bigger cities. Instead of seeking to grow rapidly and pay off investors, the local businesses in Crawfordsville know that the key to success lies within keeping their current customers happy and loyal. Large corporations may be currently benefitting from posting engaging quizzes and fun micro videos with having mind-boggling budgets at their disposal, but your average Crawfordsville resident is going to be more impressed by a seeing the Strawberry Festival sharing a photo of their kid at the festival than they are of a 2 minute video with Taylor Swift. Crawfordsville residents know most of or all of the businesses in town, so the marketing here needs to be tailored towards that reality. This all became apparent in the first few days of my internship and changing gears proved to be an interesting and valuable challenge. The largest project I was tasked with was creating a part-promotional-part-recap video for the Crawfordsville Strawberry Festival. The committee members of the festival wanted a solid video they could share on their Facebook page and their website. This project easily defined my experience at Blue because I was thrown in and trusted to handle the project entirely on my own. Knowing this was going to be a crucial part of the fest’s marketing campaign, Amy Williamson trusted me to run the Facebook page (generating engaging micro videos, posting interesting updates, and responding to any and all messages and questions from festival-goers), meet with the committee chairs, and completely produce their big promotional video. During the three-day festival, I was trusted to do every single component involved in producing the video, including directing and interviewing the selected committee members, gathering B-roll, and editing it all together once the weekend was over. This was the first project I have ever worked on as a media-specialist where I got to completely make a piece exactly how I envisioned it, and it did phenomenally on Facebook once it was completed. The video that I brought to life from my own imagination ended up gathering over 6,000 views and reached over 10,000 people — that’s two-thirds of all the people in Crawfordsville and also the post with the single most number of views and people reached out of any post Blue has put out on any of their clients’ social media pages. That alone made this entire experience worth every second of work I put into it, let alone all of the other projects I had worked on as well. Without this opportunity from the Lilly Grant, I would not have gained this priceless small-business experience. Nathan Neal ’17 Carnegie Museum of Montgomery County-This summer I had the amazing opportunity to intern at the Carnegie Museum in Crawfordsville, Indiana. I honestly did not know what to expect from the Carnegie and what tasks I would be assigned. Later, I learned that this internship utilized the skills I acquired from Wabash and provided me with a valuable experience for a number of future careers. My assigned tasks involved a range of duties including administration, research projects, proposals, press releases, and supervising groups of children. 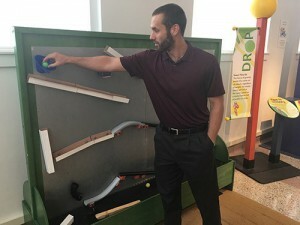 During the summer months of June and July, the museum runs a program known as Summer at the Museum; therefore, I helped parents and their children sign up for the program as well as assist them with any questions they might have. The program runs all summer, with the kids doing five activities that they could do any day they came in. The day to day administration duties paired with the Museum’s most popular program allowed me to improve my communication skills to ensure that people had a fun and exciting experience at the Carnegie. Aside from the administration duties, I worked on a number of larger projects dealing with research, press releases, proposals, and other summer events. For the first project, I worked alongside the curator in writing a proposal for a local Ted Talk event known as Tedx. Not only was it written for the museum, but for the county as well. The proposal report included instructions on how to organize the event and why such an event would be beneficial to the community. My duties extended beyond the Carnegie Museum, in which I worked with the other museums in Crawfordsville and the Chamber Board. Another project involves writing a press release and designing a flyer for an upcoming event known as Geeks Who Drink. The Carnegie is also host to a number of events not dealing directly with museum duties and responsibilities. Geeks Who Drink is a pub trivia company; therefore, my task was to attract a college-aged audience. This task gave me valuable marketing and social media experience that I otherwise would not have received on my own. My internship at the Carnegie was a great experience that I will remember my whole life. I would like to thank the Lilly Endowment for funding the internship and the Carnegie Museum staff for offering me this position. I have learned skills that will last a lifetime and prove essential to pursuing my future professional goals. Deonte Simpson ’18 Global Access Point- The summer of 2016 definitely beats last year’s summer. My time in South Bend, Indiana has been one to remember. I had a unique job that required much learning and practice, lived with great people that I experienced great times with, and I learned valuable life skills. My job was social media marketing for a data center/colocation provider called Global Access Point. The company leases space to companies that need, or want an area to store their IT equipment, and they even help them manage the equipment. My job was to make that fun and attractive to various audiences, so I’m sure you can imagine it was a learning curve. It was fun nonetheless, and I learned much about the art of social media marketing, graphic design, and more. Early on, I definitely struggled, but with persistence I improved. I met great people and experienced events that will last a lifetime in my memory bank. As an intern, I have to say that I was very fortunate in terms of housing. The house was a nice place, but even better than that, I lived with 5 other Wabash men. Although one of the men was a graduate of 2006, and I knew none of the others prior to arriving in the city, the Wabash traditions held strong and we quickly bonded like most roommates during freshman year. We have embarked on many adventures throughout Indiana, and we have even ventured off into Michigan. This experience has helped me practice many life skills that are essential to developing into a responsible adult. I realized that I am a really good cook, and I enjoy cooking. Wabash is changing my life for the better. 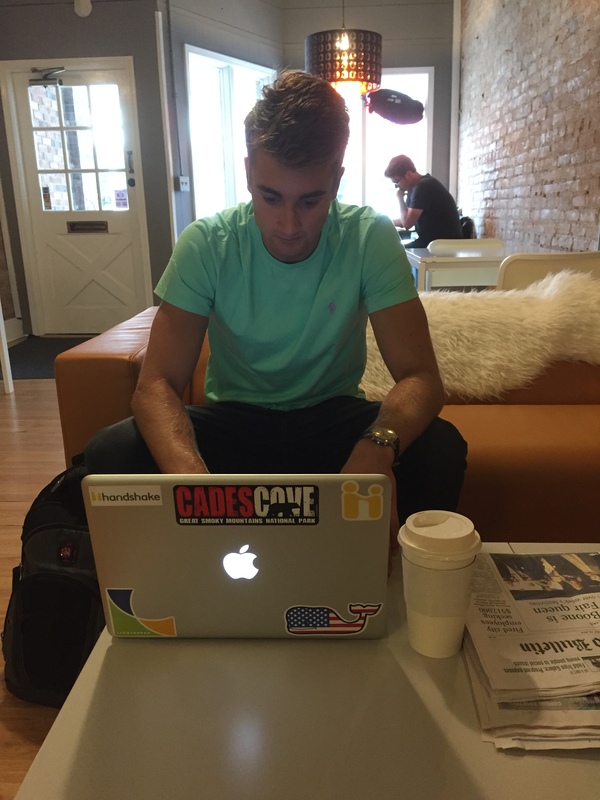 Bryan Roberts ’18 Hanapin Marketing-I have spent my summer of 2016 working at Hanapin Marketing, which is located in Bloomington, Indiana. Hanapin Marketing was founded by Wabash grad Pat East, and my internship was paid for by the Lilly Endowment. I cannot thank the Lilly Endowment enough for allowing me to have such an amazing opportunity to learn about the PPC industry and gain professional skills I can use in my future career. At Hanapin I was a Digital Marketing Intern, more specifically a services intern. Before starting at Hanapin I knew nothing about PPC advertising or that it even existed in the first place. PPC is advertising done on search engines such as Google and Bing, as well as social media such as Facebook. Companies will bid to have their ads come up when a user types in a certain keyword into a search engine; those ads that come up are managed by Hanapin for their clients to optimize relevant traffic and reach goals that their clients set for their specific business. As a services intern I aided in optimizing client’s accounts. Day to day I mainly analyzed search queries to rid accounts of irrelevant traffic, analyzed data on the optimal time of day for ads, and provided new ad copy for ads. Each day my supervisor would check in on me to make sure I had things to do and other than that he let me do my own work and seek out the things I wanted to learn. Hanapin has pushed me to learn the things that I want to while also providing structured teaching sessions so that I can learn about the PPC industry. Over the course of my internship aside from the daily work, I completed two different projects on accounts. On one I pitched a new Facebook ad campaign and the strategy in which should be used to all those who work on the account. In the other, I presented ways to optimize an account to better reach goals and improve the company’s website. This internship has been amazing experience not only because of the incredibly interesting industry Hanapin works in, but also because of Hanapin’s culture as a company. Every day the office has music playing and two whole drawers dedicated to snacks, which are available to all employees, even interns! Every single person in the office is incredibly welcoming and will not hesitate to stop what they are doing to teach you. It is no wonder that Hanapin was voted one of the best places to work in Indiana. 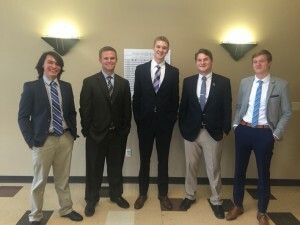 Austin Ellingwood ’18 Archon Tech Strategies-This summer has been a whole new experience for me. I was able to begin programming in multiple languages at a new level, I have helped Archon Tech Strategies in ways that I have never been able to before, and I met new people that have taught me lessons that you cannot learn from a book or class. My boss, Tony Unfried, has been a pleasure to work for in many ways. We share the Wabash experience, so we are able to talk about our own struggles when there is downtime. He demands excellence from his employees, but he rewards them for their time and effort. Tony gave me the opportunity to take a family vacation one week, because I had been working hard and he said I could work an extra week to make up for the off week. Tony rewards hard work in other ways, like giving credit when credit is due. One of my favorite places to work was in Broad Ripple in a building called “The Speak Easy.” It is a collaborative workspace where there are a number of start-ups beginning their journey Tony gave me the chance to work remotely at times, so I would explore coffee shops and work from there. One of my favorite memories was actually a blunder by a new hire. We were on the road to see a client about the product. After about an hour of driving, Tony sees a sign that he doesn’t feel is right. He looks at the GPS and he realizes that we’ve been going in the wrong direction for about an hour. As it turns out, the new hire had mistakenly taken a wrong turn. We turned around and spent another 2 hours or so driving, and we eventually arrived at the client, but the whole way there and back, we shared stories and experiences through Wabash and through Tony’s ventures as an entrepreneur. This is one of the most notable memories I have from this summer, because it was very relaxed and fun, while still getting work done. This summer has been an unforgettable one, and I am looking forward to more experiences like it. I was able to do something I truly enjoy all summer, and I have obtained useful information that will help me for years to come. Tony has provided me with tools to develop my own business someday, and develop my programming skills in the process. Ashton Faramelli ’17 Herff Jones-First, I’d like to start off by thanking the Lilly Endowment. Without their help and support I do not think that I would have had an internship this summer. It was rough with applications and finding an internship in which my computer science experience as well as location would fit within a company’s standards as well as my standards. So I sincerely thank everyone who works at Eli Lilly for their hard work and for the generosity of their company to give back to our wonderful school and to our students. Working for Herff Jones has been a roller coaster. With its many ups and downs throughout the internship of extremely busy days to calmer ones, it has always been surprising no matter what day it was. I worked as a market analyst/ product manager intern and had the opportunity to experience many different areas within the company during a major platform change to all of their websites. 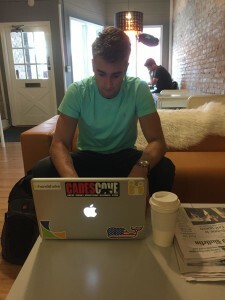 This was an absolutely ideal time for an internship as I sat in on many meetings in regards to the future of many sites, analytic dashboards, and even the company. I was involved in a lot of user experience projects. My first assignments were to create surveys and have participants go through interviews to find out exactly what customers want with our sites. I also had the opportunity to help with a project pack for a new analytic dashboard in which I gathered key analytic data for, as well as built, a prototype website within PowerPoint and used my findings to help lead some discussions and meetings. Furthermore, I worked with many project and product managers so as to acclimate myself to their job lifestyles and learn from their experiences and gain new insights on opportunities. Going along with this experience, I came up with an idea and the Director of Product Managers had me work on my own project pack and specific steps of research as an exercise into product management. This helped further expand my knowledge within the field and is helping me realize that this is a profession I’m very interested in continuing throughout my career. Again I can’t thank the Lilly Endowment enough for what they have given back to our community and allowed me to do in furthering a profession that I thoroughly enjoy. David Thomas ’19 LABB 2016-I couldn’t have thought of a better way to spend my summer than with the LABB program. Most of us started the program not knowing much about how the business world works, having little exposure to the mechanics that govern success from a small business level to a corporate scale. I initially had anxieties as I entered this program; I was nervous that I would be caught in an avalanche of details that I would not be able to digest quickly. After all, we were only spending seven weeks with very arduous material (according to Mr. Morin, our director, we were examining Harvard Business School cases that were at a GRADUATE level. Yeah, graduate). On top of this, I feared that my hearing impairment would inhibit my capacity to grasp all the necessary details that I needed to acquire. You can bet that my first day was nerve racking. As time progressed, however, we settled into a rhythm of working progress. In the first four weeks we tackled a financial bootcamp, followed by Harvard Business School case studies, and a crash course on marketing and networking. 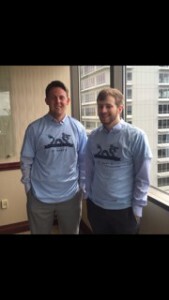 Also, we were able to achieve LEAN certification, making ourselves more marketable to the job market. My initial anxieties were quelled by the safe, reassuring learning environment that I was in. We were free to ask questions and voice opinions without judgment. I was able to get help when I did not hear something properly. As we entered the fifth week of LABB, we were introduced to a consulting project. Our experience thus far with the program enabled us to analyze the different aspects of this project. Skills such as research, team work, and communication were employed in our analysis. We were able to ask meaningful questions about the project that allowed us to gather the necessary data and answers for our employer. Effective team work allowed us to divide our job duties logically amongst skill sets, so that we may reach our goals in a timely manner. Lastly, correctly communicating our findings displayed our analysis clearly and concisely. Our work with the consulting project proves a clear resonance with our Liberal Arts education as Wabash men; an exhibition of our capacity to think critically, act responsibly, lead effectively, and live humanely. Overall, LABB was a very valuable learning experience. I would definitely recommend this program to future students. Even if a participant was not aspiring to become an entrepreneur, the skills taught here have broad applications that will eventually prove useful in job searches and personal finance. Personally, I have finished this program with a greater confidence in my ability to succeed as an entrepreneur. In closing, I extend my sincerest gratitude towards the Lilly Endowment for providing Wabash students with this program. Ben Page ’18 LABB 2016-First, I would like to start by thanking the Lilly Endowment for funding the 2016 LABB Program. Second, I would like to specifically thank Roland Morin and all the other Wabash alumni that made the last seven weeks such a great experience. In the seventh and final week of the LABB program, four different groups presented their final projects and business plans. The first six weeks helped in preparing us to pitch our individual business plans to six different investors. Having entered this program with very little experience on how to start a business, I was shocked by how well our group was ready to present an entire business plan for something that doesn’t even exist yet. Through these final projects, everyone was able to showcase what they have learned over the course of these last two months and how much they now know about what goes into starting a business. The final presentations consisted of three apps and one physical product. I cannot stress enough how important the first six weeks were to success of each pitch. We were taught many things such as how to use financials effectively, how to develop a marketing plan, and how important market research can be. Obviously all of these things are important, but whom you start a business with might be just as important. Each team consisted of five group members with one team having six. We had essentially two weeks to prepare for this final day. Along the way, we had the chance to pitch our ideas to smaller panels that gave us feedback on whether or not we had something that could potentially be successful. With each of these pitches came investments as well. Throughout the entire program, it was essential to keep a personal budget to be able to fund these ventures. These projects were treated as real world business experiences, which is what made it so unique for me. On the last Thursday of the program we had the chance to present all of our hard work. This experience was very rewarding because we were given immediate feedback on how we did. While we weren’t perfect, and my group actually finished second, the panel of investors was still very impressed. It is worth mentioning too that each investor was or is currently in the business world. This seven-week program has been an amazing experience for me and is like nothing else out there. I recommend this program for everyone, even if you don’t think business is something you necessarily want to go into. Everything you learn in this program is something you can take forward with you in life and will serve you well in the future. Once again, I want to thank everyone who made this program possible and helped me grow as a student and a young man. 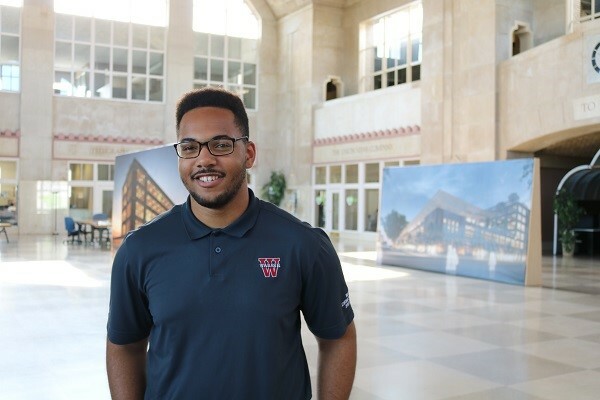 Austin Brown ’17 LABB 2016-Thus far, the Liberal Arts Bridging to Business Program has been fast-paced and extremely informative in a variety of ways. From financial boot camp to business case studies, I have already been introduced to many different fundamental business practices that are essential to small business owners and large corporations alike. Most recently, we have learned a great deal surrounding the art of negotiations, or the business chess match. Simulating labor contract negotiations between unions and management, interns were split into teams with a simple objective: negotiate the best possible deal for your side. Having completed two of the three rounds, I can say that this activity has already proved to be very valuable, and it is a great teaching tool. Rather than simply read about how to negotiate, we are given the opportunity to actually battle it out with our fellow interns and work through the process ourselves. First-hand experience is vital when learning anything, and the LABB program utilizes this method of learning in nearly everything that we do. 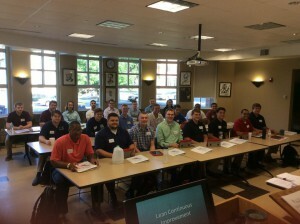 Another important event of Week 4 was Lean training and certification, a two-day process held on campus. Lean training is a philosophy used by many businesses and corporations, which stresses the importance of efficiency and reduced wastes. On Day 1, we learned how Lean philosophy first developed within manufacturing, and we were able to experience this process with a paper airplane making competition. Interns were split into teams and given the task of producing the greatest number of high-quality paper airplanes possible. In the first round, we were required to follow a strict manufacturing procedure, and we soon realized the inefficiencies of the assigned procedure. In the second round, we were able to manipulate our procedure, which made the process much more efficient in producing high-quality paper airplanes. Once again, I, along with my teammates, was able to apply learned techniques to real life situations. On Day 2, we fully recognized the Lean philosophy’s potential by applying its teachings to a non-manufacturing process, such as the fast food industry. Interns were split into teams, and we chose a fast food restaurant to analyze. The goal of this activity was to produce a kanban, or simple, cheap change, for the business to implement that would reduce their costs, improve worker efficiency, or increase customer satisfaction. While this was purely hypothetical, the activity was engaging and insightful. Personally, it reinforced the notion that a business should never become complacent, and there are always some sorts of inefficiencies or wastes that can be better managed or eliminated. As a religion major and political science minor, the LABB program has already provided me with a wealth of knowledge in only four weeks. From marketing research to case studies to constant presentation practice, I am constantly kept on my toes, yet I have never felt like I have been at a disadvantage. The LABB program does a great job of introducing students of all areas of study to the essentials of business and entrepreneurship, and all of this is accomplished through first-hand, hands-on experiences. I have been pleasantly surprised by how great the LABB program truly is.